Everybody who has further interest in the topic of gravitation is welcome to download our accompanying material on the film. This free guide sums up the most important facts about gravity and explains them in a comprehensive and clear way. 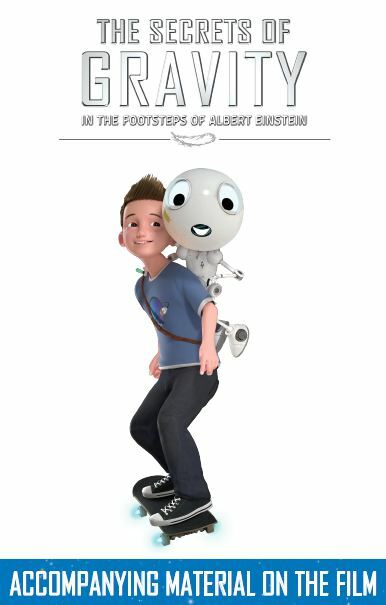 There are also some funny facts about Albert Einstein included. This makes it a great guide to study and to explore for teachers as well as for kids. The year 2015 marked the 100th anniversary of the release of Albert Einstein’s general theory of relativity (GTR). Ten years after revolutionizing our comprehension of light in the special theory of relativity, Einstein did the same for the force of gravitation. While overturning our understanding of gravity, he also changed our view of the nature of space and time itself. Probed to its most subtle predictions and confirmed countless of times, the GTR remains a theory of unsurpassed accuracy and elegance. It reinforced Einstein’s status as a superstar of modern science and made him the epitome of a genius. Ironically, it is this standing as a prodigy that leads to reservations about engagement with the GTR in the greater public. People ask themselves, quite understandably, how could they could ever fathom a genius’ masterpiece? In principle, it is always a challenge to tell a story in such a way that it inspires and captivates the audience and completely enthralls them for the duration of the story. This is even more difficult if the story wants to convey additional high-quality educational content such as complex knowledge about gravitational waves and time. Peter Popp, along with his team, has done just this and more than succeeded. 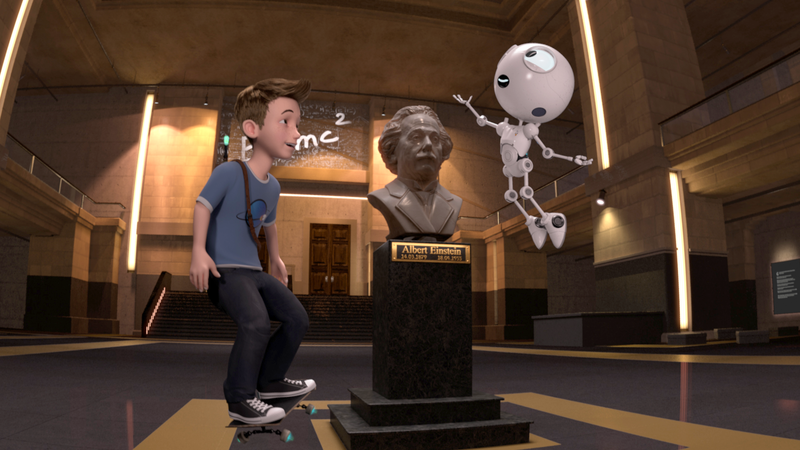 The dramatically gripping story of the little LIMBRADUR accomplishes it from the first minute – almost playfully to delight the whole family with the magic of »The Secrets of Gravity – in the footsteps of Albert Einstein«. Even more so, through the masterful use of the dome, the audience is completely wrapped up in the story and indeed positively drawn in. Skillfully chosen perspectives, very good camera movements, extremely detailed scene imagery, very good illumination, convincing sound design as well as convincingly precise and detailed animations take the viewers on a unique journey through truly highly scientific topics. The highlight is that, no matter how lofty the subject matter, at no time does one feel overwhelmed. For children, the narrative is enchanting, allowing them to experience the subject matter informally while opening doors to fundamental ideas. Adults will recall their childlike curiosity and more than once experience a pleasant “aha moment”. In the end, the story will leave your heart pounding and your thoughts buzzing about the mysteries of life. What remains in every viewer is the realization to guide our children and to never stop asking questions. 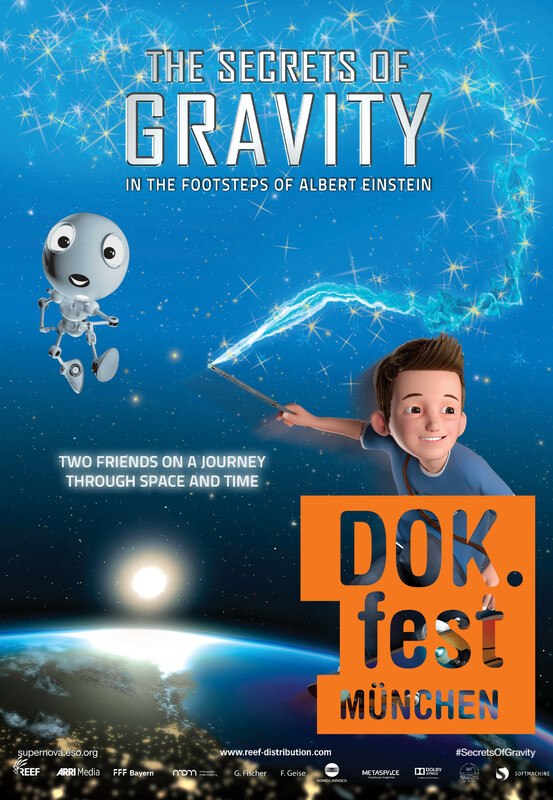 “The Secrets of Gravity” is shown at ESO Supernova during documentary film festival DOK.fest Munich. The 2018 International Documentary Film Festival Munich, DOK.fest for short, is one of Europe’s biggest documentary film festivals. At major venues throughout the city, the festival presents the newest international productions on the big screen. 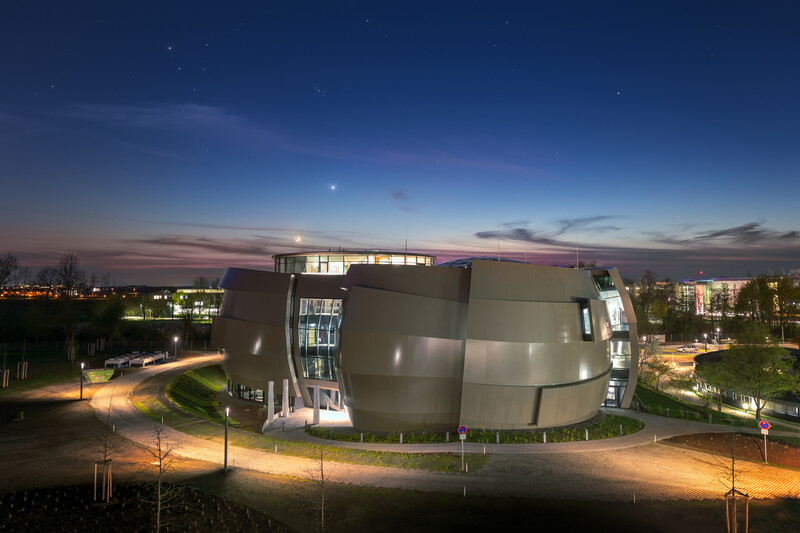 The brand-new ESO Supernova Planetarium & Visitor Centre in Garching, just outside of Munich, is one of the most modern planetariums in the world. The special screening of “The Secrets of Gravity” (de: „Limbradur und die Magie der Schwerkaft”) will be held on May 6, at 14:00. Free entrance. The brand-new ESO Supernova Planetarium & Visitor Centre opened with Softmachine’s “The Secrets of Gravity” on April 28, 2018. Located in Garching, just outside of Munich, ESO Supernova is one of the most modern planetariums in the world. ESO, the European Southern Observatory, is the pre-eminent intergovernmental organisation in astronomy, constructing and operating the world’s most powerful telescopes. Softmachine is proud to be partner of ESO Supernova and to have “The Secrets of Gravity” as one of the highlights in its running schedule. ESO Supernova has free admission and showings of “The Secrets of Gravity” (de: „Limbradur und die Magie der Schwerkraft”) are available in both English and German.